The black bear is the smallest and most widely distributed bear on North American continent, as such it can be found in almost all of our forests. Although these bears are generally shy and secretive they do possess considerable curiosity and a willingness to explore, especially in the search of food. In doing so, they normally forage for food thru the evening and early morning hours, usually bedding down deep in the forest during the day. 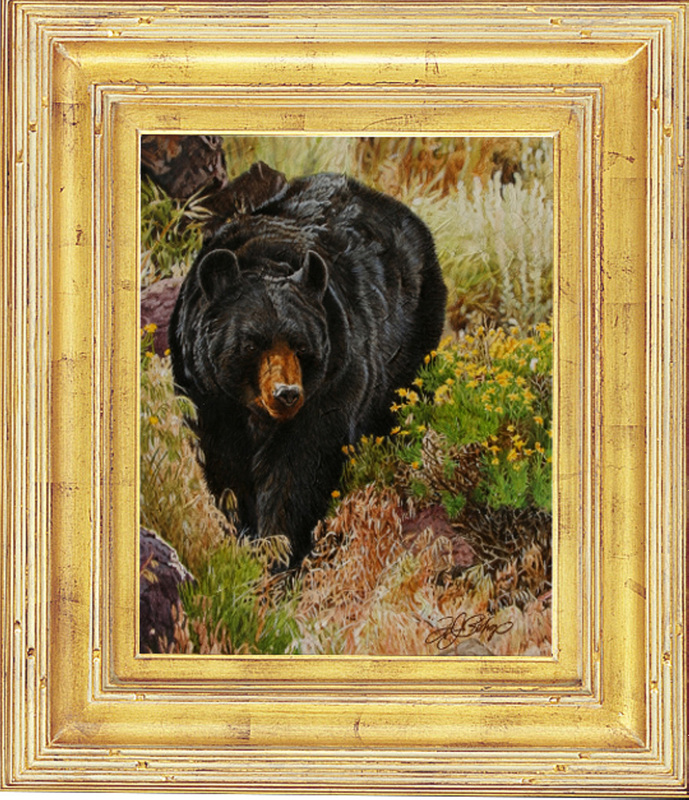 In the small communities, or isolated cabins found in the Rocky Mountains, these animals are quite common and can become frequent trespassers if they feel food is readily available…for that reason most of the trash receptacles that you’ll see in these areas have been “bear proofed” in some fashion. By no means picky eaters, these bears are omnivores and will eat just about any type of food that is available. So the wise camper, or vacationer will make certain that any food stuffs have been sealed away in a strong container, or their campsite, cabin, or car might well be trashed during the night by a hungry black bear. 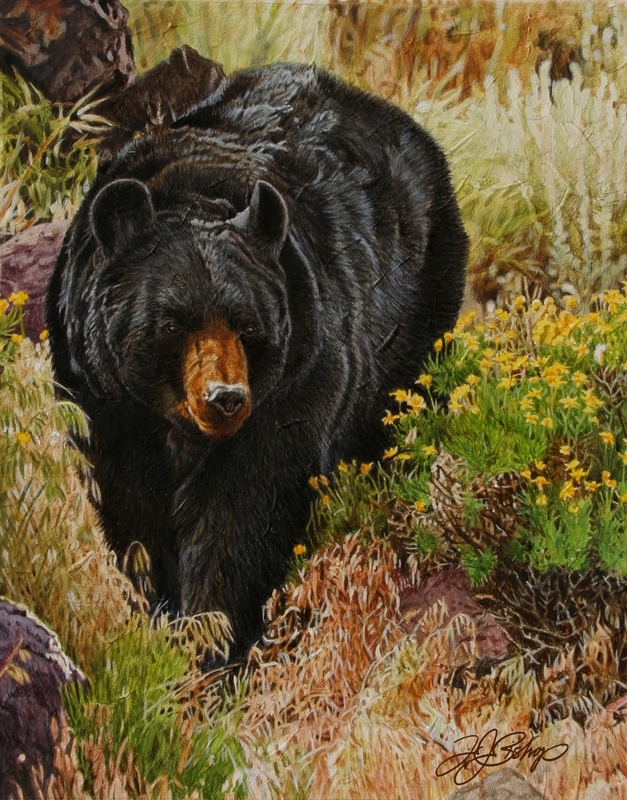 In my painting I’ve depicted a large, male black bear with his shiny coat reflecting the afternoon light as he starts “coming down the mountain” in search of some evening food..